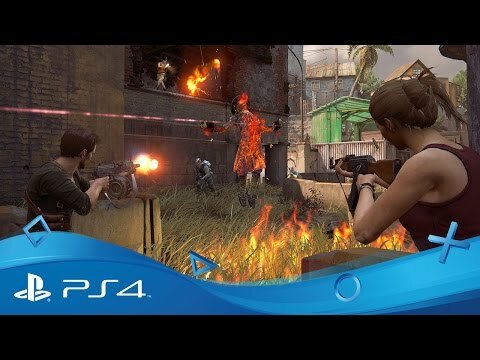 Inspired by Uncharted 4’s single player story mode, Survival challenges you and up to two friends to survive up to 50 waves across 10 maps, facing off against new enemy types, Shoreline mercenaries, heavily armoured Brutes, Snipers, Hunters and more. The longer you last, the more difficult it becomes, with powerful new bosses awaiting you at the end of every 10 waves. Survival is available as a downloadable update for all Uncharted 4 owners, at no additional cost. Alongside intense firefights, Survival features a wide array of objective modes and modifiers that will introduce new challenges as you progress through waves. To stay alive, you need to work through these objectives, where victory depends on defending a particular area, collecting treasures within a time limit, or taking out marked enemies. Do well and you can earn in-game cash which you can use to unlock and equip weapons and gear via arsenal crates around the map. You can also earn vanity items to deck out your character in both Survival and Multiplayer. 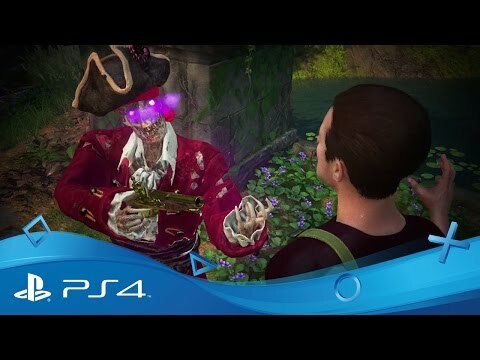 Download Uncharted™4: A Thief’s End on PS4.